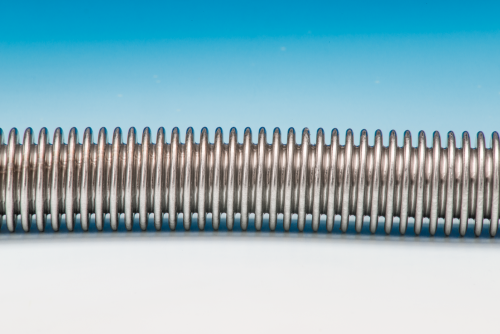 Standard pressure annular exotic stainless steel hose series suitable for full vacuum up to 2660 psig (183 bar), depending on size and braid construction. The A625 product line is comprised of Inconel 625 alloy for temperature service from cryogenic service up to 1800°F (982°C). Sizes range between 1/4” (4mm) up to 12” (300mm) nominal diameter and is available as an unbraided (A625) hose or as a direct braided single (A625-1) or double (A625-2) layer hose.